Published Jun 6, 2017 by Addison-Wesley Professional. Part of the LiveLessons series. The Wireshark LiveLessons Library offers more than 14 hours of expert instruction on using the free, open source Wireshark to troubleshoot Ethernet and Wi-Fi networks, the protocols they transport, and troubleshooting Wi-Fi networks using Wireshark. 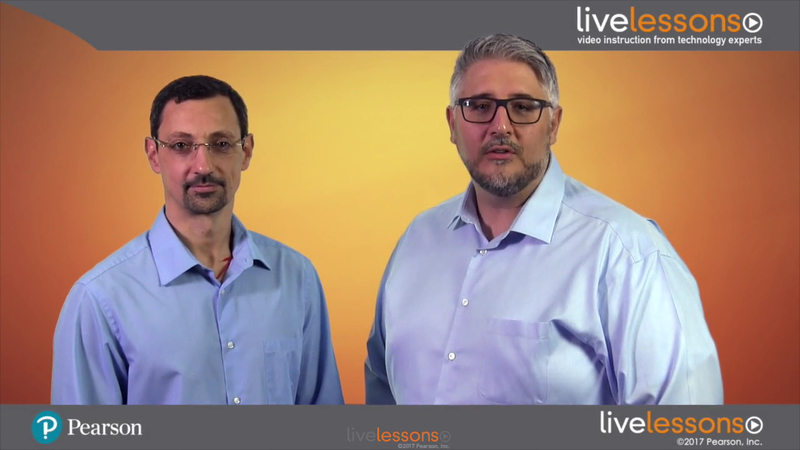 Presented by Wireshark experts, Jerome Henry and James Garringer, the videos in this title will help you learn Wireshark from the ground up, and then master your skills. You will start with Wireshark Fundamentals LiveLessons, which illuminates all the techniques you need to solve real network problems with Wireshark. With ten well-organized lessons and 44 concise sublessons that include real examples, you will find easy-to-follow discussions to give you everything you need to get started with Wireshark in your own work. Wireshark for Wireless LANs will then dive into all the techniques you need to quickly identify and resolve real wireless network problems with Wireshark. Its nine well-organized lessons teach through clear explanations and real-world examples. No matter what kind of network you’re responsible for, Wireshark LiveLessons Library will help you improve your Wireshark skills, so you can get the reliability, performance, and security you need. Wireshark Fundamentals LiveLessons requires a basic understanding of networking technology. Wireshark for Wireless LANs LiveLessons requires a basic understanding of networking and Wi-Fi.